I’ve been wondering about rooting the iFive Mini 4 (to get rid of that abysmal iFive Skin) so I’ve done a bit of research. There are ambiguous answers as to whether or not the Rockchip 3288-based Pipo P1 can be rooted [Google Translate]. Despite not having Volume buttons, the original Rockchip 3188-based Retina-class Mini 3 was rooted and custom ROMs made available for it. It seems it was all handled via USB cable to a Windows-based machine. 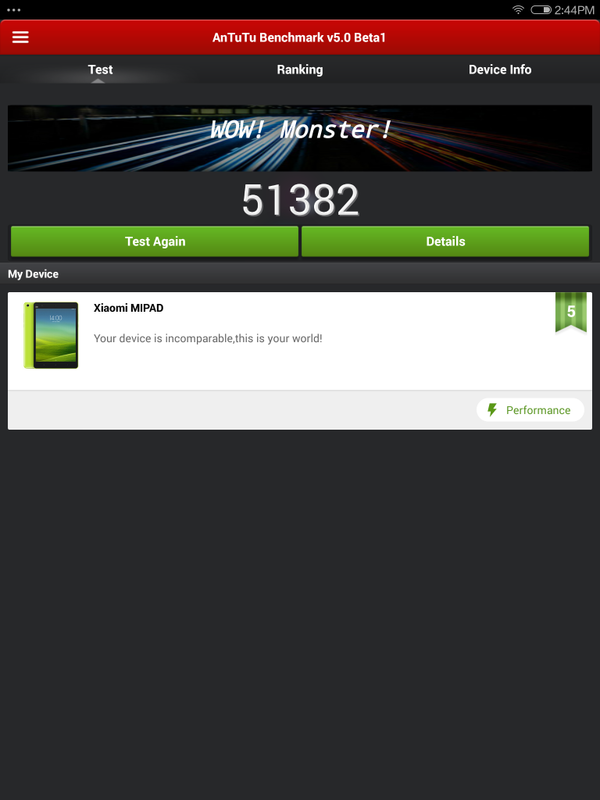 So I have to say the odds look good for the Mini 4 being rooted and perhaps also getting custom ROMs. Standby For AnTuTu Score Inflation! Thanks to Eric in Comments for pointing out this first item. 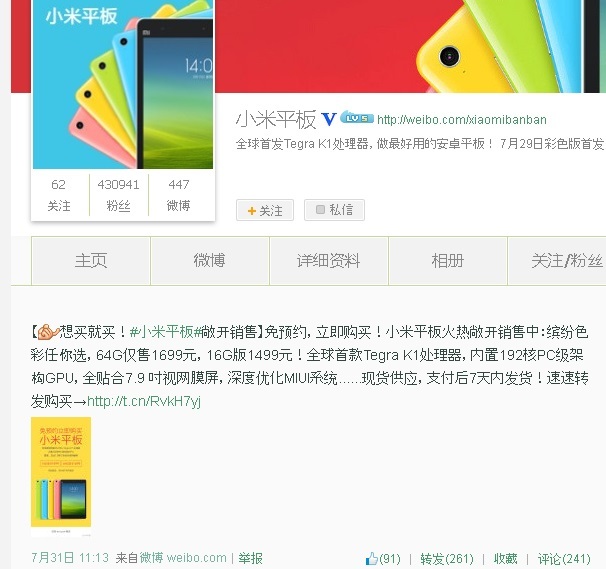 Xiaomi’s Redmi Note allegedly sending user data to China surreptitiously. The original source is here [Google Translate]. And now someone on the English-language MIUI forum has picked it up. Xiaomi VP Hugo Barra says all this isn’t true. Meanwhile, Xiaomi made headlines today by being fined by the Taiwan Fair Trade Commission over irregularities with deadlined sales of several of its phones. This led to a bunch of public apologies on Weibo [first, second, third, fourth, fifth], and publicity on Weibo news channels [first, second], and news coverage on Weibo [Google Translate], and at China tech sites [Google Translate, Google Translate]. Google Translate makes it all too ambiguous for me to judge. I can’t tell if outright fraud was involved or poor accounting. Either way, Xiaomi was caught, humiliated, had to pay a fat fine, apologized, and promised not to let it happen again. Without any links, because I think it’s trivial, Xiaomi is also being dumped on for not including NFC in the new Mi 4 phone. Xiaomi insists that of the millions of phones they’ve sold that have NFC, it’s been used so little that it’s just not worth including any longer. 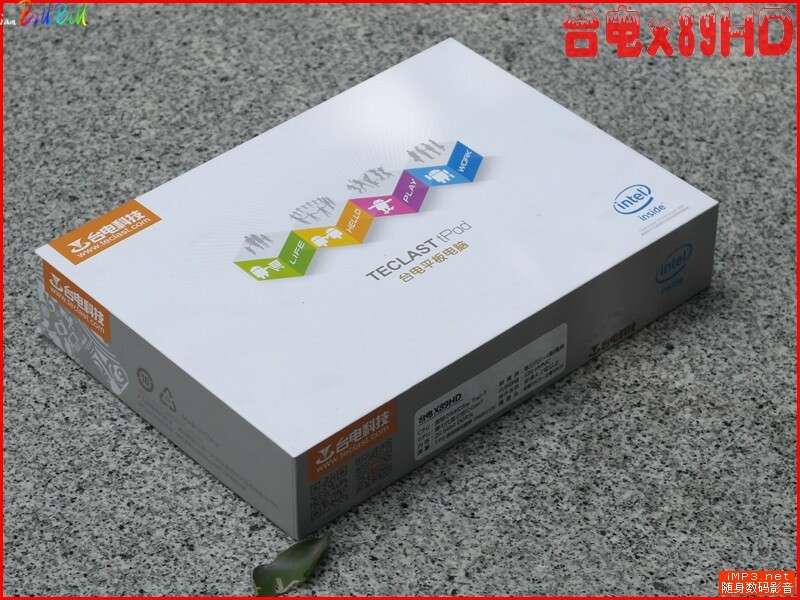 Tablet wonk iambillbil offers part two of his evaluation of the Teclast X89HD Android edition tablet in a locked post at IMP3Net [Google Translate]. I’m registered there and can see the hidden content. Part one of his evaluation was covered in this post. When the screen is all-white at its lowest brightness setting, iambillbil says you’ll need goggles, it’s that bright. 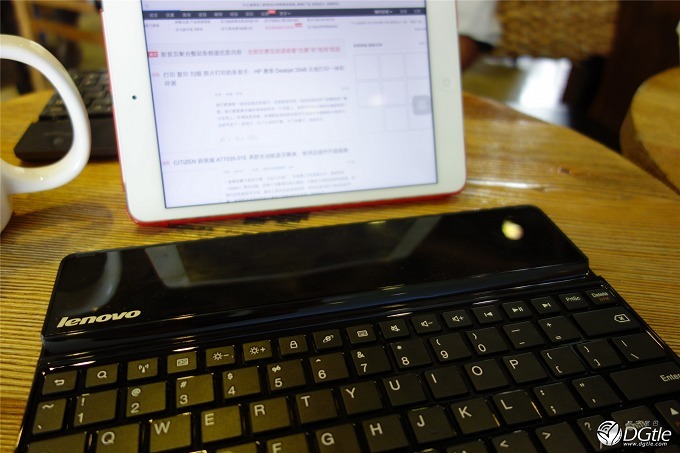 Digital Tail has a report about a portable Bluetooth keyboard from Lenovo that could be of interest to tablet owners [Google Translate]. It’s a PadHz headline that hilariously calls it “inhuman” [Google Translate]. 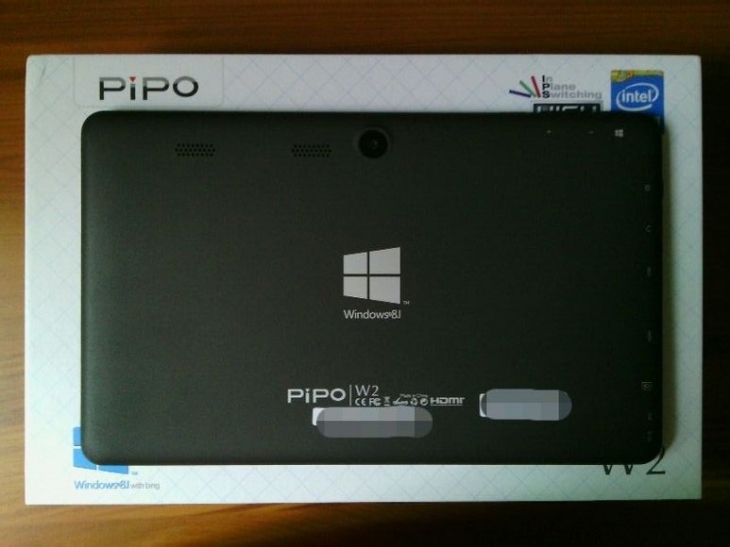 This is the first of the second wave of Windows 8.1 tablets. 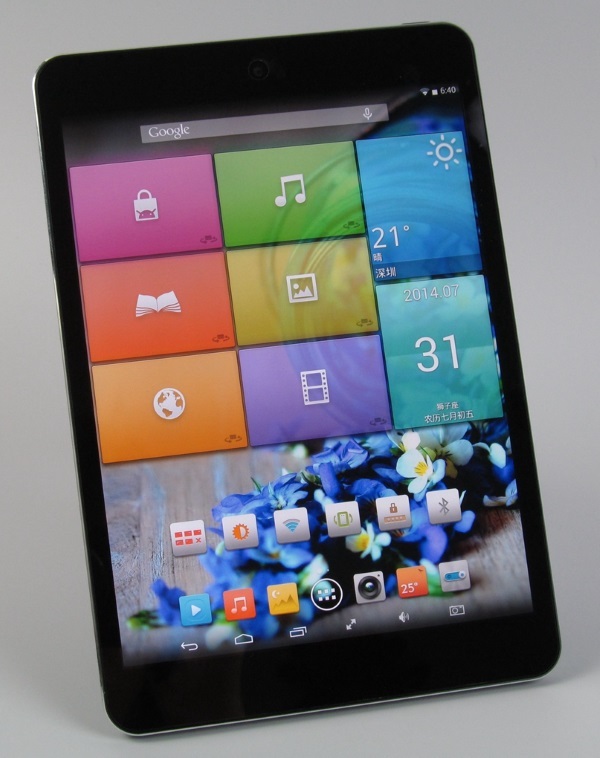 It uses the Intel BayTrail-T CR V2 Z3735G quad-core CPU and is a “1/16” tablet (1GB of RAM, 16GBs of internal storage) with a 1280 x 800 screen. PadHz can’t figure out how it can be used with a screen that small. Meanwhile, PadNews has a bunch of photos, some of which are after the break [Google Translate]. Five Technology let loose their forum shills to push the hell out of the iFive Mini 4 the day before it goes on pre-sale. 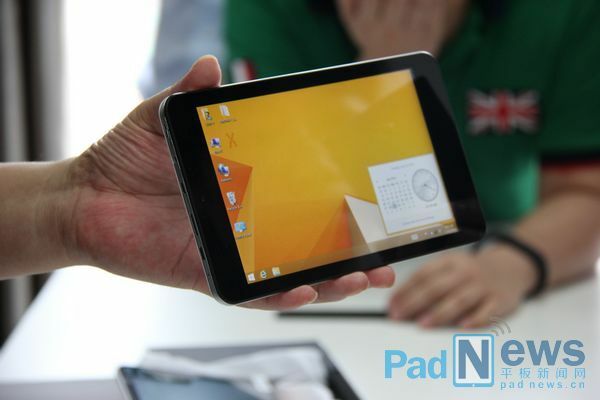 First, new photos of the Mini 4 with its appearance compared to the Xiaomi MiPad at the 5Fans forum [Google Translate]. Over at the Pipo forum [Google Translate]. 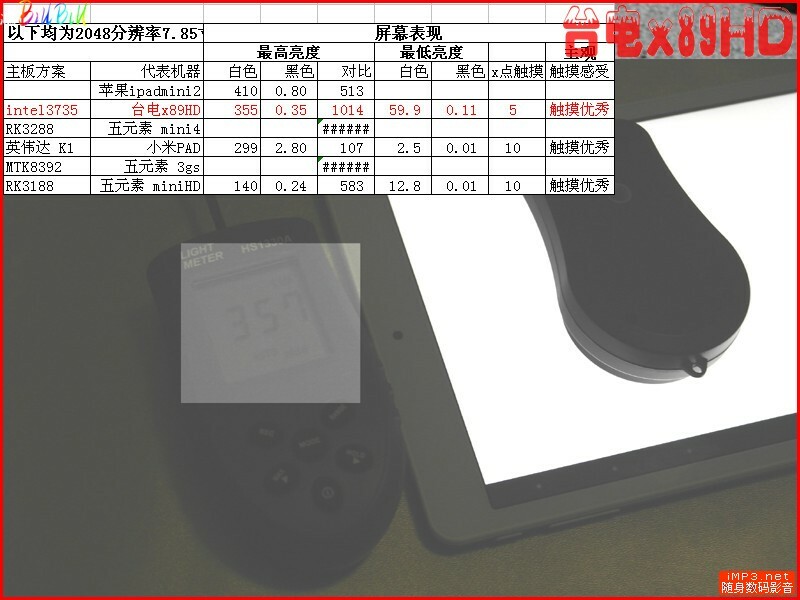 Tablet wonk iambillbil has the new Teclast X89HD tablet and is doing an “appearance evaluation” at IMP3Net [Google Translate]. This is always the first step in his comprehensive “evaluation” (he doesn’t call them a “review”) of a tablet. His forum thread is locked but I’ve registered at IMP3Net and so can bring everyone some of the hidden content! His preview image made me believe he was evaluating the Windows 8.1 edition, but that turned out to be a head fake! It’s actually the Android edition.